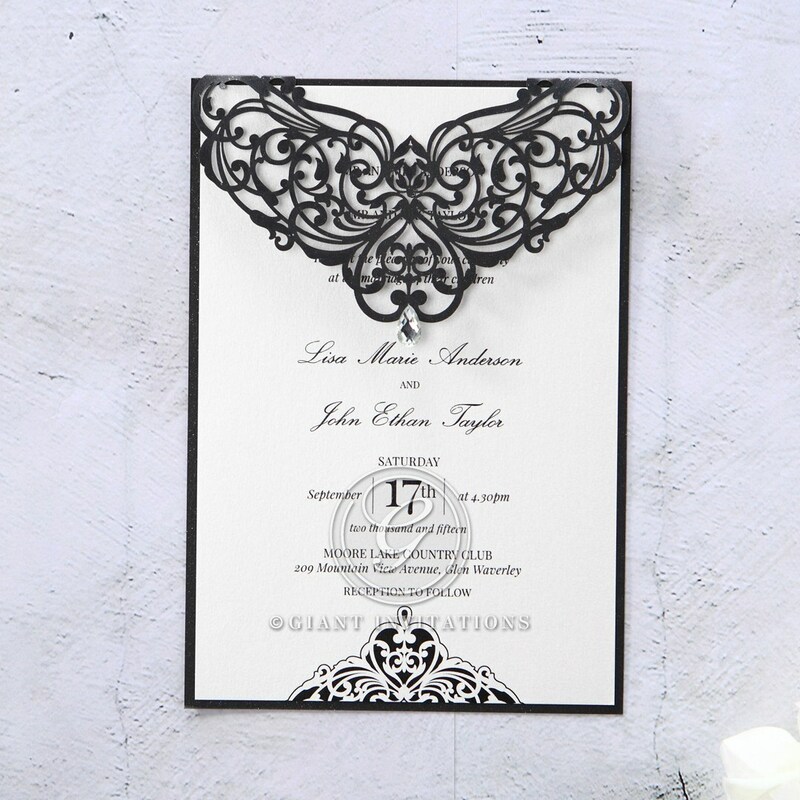 This exquisite invitation design featuring alluring black laser cut patterned details is the ideal way to announce your formal celebration. From engagements to weddings this stand out design will work for both cocktail receptions to formal sit down banquets. 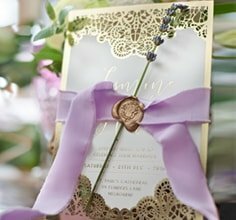 Using timeless raised ink printing, top quality paper stock and a single sparkly tear drop crystal embellishment for added appeal this invite is the elegant announcement you’ve been looking for.